Say no to the unsightly round impressions at the table... Lareto arrived! A set of 6 silicone glass coasters. Desighn and functionallity holding hands! This set of coasters is made of stainless steel and has a very clean design. A very stylish set you will always want to have near by. 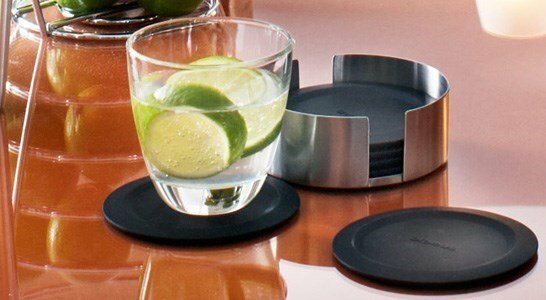 Lareto, coasters from Blomus and were designed by Flöz Design.